When O. Bulleid joined CIE from British Railways in 1949 he decided to build a turf-burning locomotive. Trials were made with a stationary engine using pulverised turf and these trials were observed by HMS Miller of Bord na Móna. CIE then converted a 1903 locomotive to burn turf and extensive steaming trials were carried out in 1951 and 1952. The engine was tried out on a main line in 1954 but broke down in Cork and had to be towed back to Inchicore. It was also too large to turn on any CIE turntable. 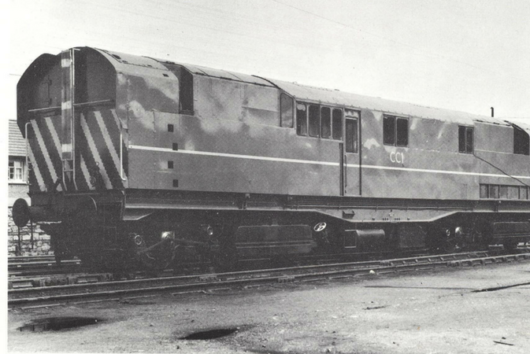 In 1955 the locomotive was tested using semi-briquettes. During a trial run in 1957 sparks from the locomotive set the leading coach of the test train on fire. It never hauled a fare-paying passenger but some use was made of it between Houston Station and the North Wall on goods trains. By that time the replacement of steam with diesel was well advanced and the locomotive was scrapped in 1965 when Todd Andrews was Chairman of CIE.
First time I heard that bit of news interesting blog. Thanks for the comments. There is more information on this in The Turf Burner by J. W. P. Rowledge, published by the Irish Railway Record Society, Billericay, Essex, UK in 1971. It runs to 24 pages and has photos of the engine before and after conversion. Do you have any information on the "Peat Products of Ireland Company Ltd." which operated from 1898 to 1900/1 in Carrownabanny bog, about three miles west of Coolaney Co. Sligo? It was established by Malby Crofton Dodwell of Glenmore House, Carrownabanny and manufactured turf briquettes using the Blunden (patented) process. It is recorded that turf was cut and brought by wagons on rails to the factory where a steam engine provided power and heat. The company claimed that it could sell all it produced locally and in 1900, newspapers carried a prospectus for the "New Peat Products of Ireland Company" with a list of prominent investors and directors. The plan was to raise capital and buy out the Blunden patent, the assets of the (original) Peat Products of Ireland Company and another company called the Carbona Syndicate Ltd. They proposed to buy 500 acres of bog in Co. Kildare beside the Grand Canal and the Great Southern & Western Railway, with a view to supplying the Dublin market. The whole concern was bankrupt by 1904. I especially want to find out if the railway used was portable steel sections. The entire site is less than 30 acres. The only remnants on site are the bases of stout wooden uprights that supported a roof, perhaps that of a drying shed. Any snippet of information you may have would be welcome.